During the 1200s, armor began to make stunning developments. Simple skull caps began to be equipped with chainmail and visors, and thus the bascinet, one of the most recognizable pieces of medieval armor, was born. The Pigface Bascinet reproduces this iconic helmet in beautiful detail. 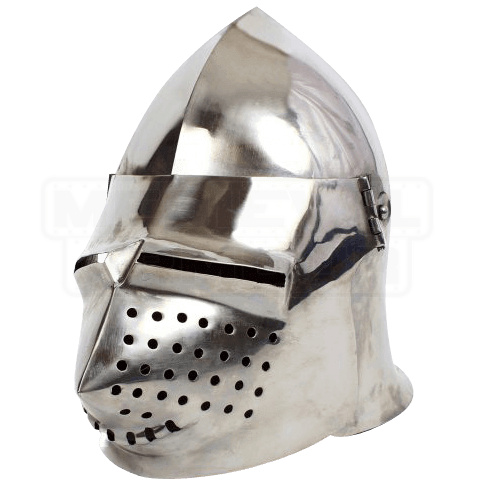 This fully functional steel helmet features a pointed crest and an articulated visor that can be lifted away from the face if necessary. This visor gives the helmet its name, as it contours away from the face, ending in a snout-like tip. 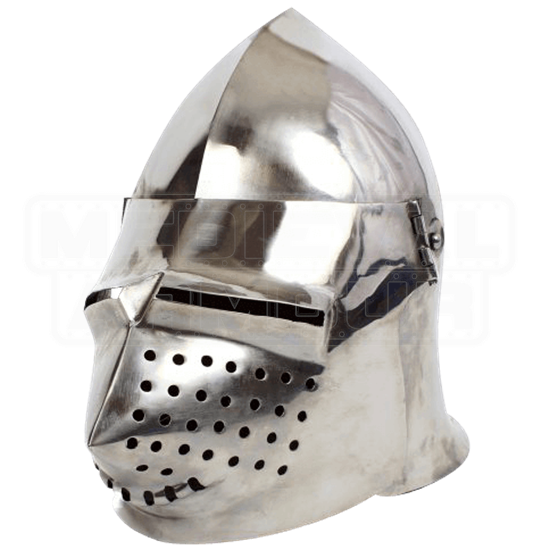 The Pigface Bascinet is the perfect addition to any suit of armor and is great for reenactments or simple decor.